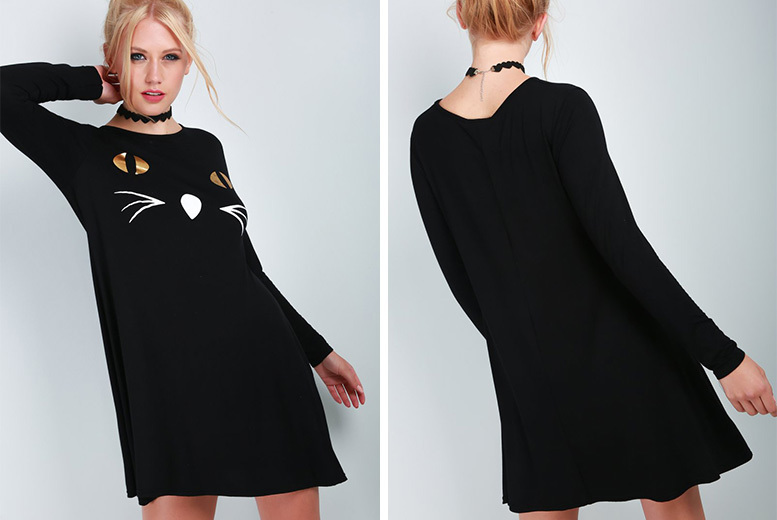 Grab a spooky yet sophisticated cat face Halloween dress! The black swing dress is decorated with a large cheeky cat face. It’s easy to find your fit with sizes UK 8-20 available! Be both in-season and in-style this Halloween. Great for Halloween parties, a girls’ night out or any other event you’ve got coming up this Halloween!